Ice is beginning to form along the edges and on rocks with some ice dams forming across the river downstream of Salida. Also, ice blocks are possible under the water surface, use caution when boating and/or walking or wade fishing. The upper river has a fairly strong winter flow with 205 cfs coming out of Twin Lakes. This is underway to vacate additional space in the upper reservoirs in anticipation of the spring runoff between late May and June. The river is pretty cold north of Stone Bridge, leading most anglers to focus their efforts in the Big Bend and Bighorn Sheep Canyon reaches. The upper river is not particularly productive during the winter between December and February, so anglers are better served by travelling downstream to the Salida area. The river drops about 1,000 feet in elevation between Buena Vista and Salida. At this time of the year, the resulting difference in water temperature is substantial and has an impact on the aquatic insect activity as well as the metabolic activity of the fish. Anglers will be best served to focus their efforts below Browns Canyon, in the Big Bend, Salida, or upper Bighorn Sheep Canyon areas. Even in these spots, fish have largely migrated into winter water, which would be the slower, deeper runs. Try focusing efforts on days with good sunshine, especially following a warm night. A cold front has moved into the valley at the lower river, and will cool us down into the 30s over the next couple of days. Direct sunlight is as important as air temperature, so focus on those blue-sky days! Warm, sunny days will still find plenty of fish on the feed in pocket water with mid-speed current and good structure, but expect most fish to be congregated in the deeper, slower runs we term "winter water". There they can be best tempted by striated midge patterns like black beauties and zebras, golden stonefly nymphs, and "meat & potatoes" nymphs like pheasant tails and hares ears. Try focusing fishing efforts on the period of peak sun coverage and warmth between 10 a.m. and 3 p.m. (Courtesy of ArkAnglers). (Ice conditions as of 2/8/2017) Although the reservoir has ice on it, there is still plenty of open water, so the ice is currently unsafe for fishing at this time. Fishing has been slow. Anglers have reported catching yellow perch at the north end using jigs tipped with worms. For updated fishing reports and ice conditions, contact the CPW Salida Area Office at 719-530-5520. (Ice conditions as of 2/8/2017) The reservoir has roughly 8 to 12 inches of ice covering the entire reservoir. There is a layer of slush on the surface that has been freezing at night, and melting by day. Fishing has been fair to good. Anglers have reported catching trout using jigs tipped with meal worms and PowerBait. Anglers have had more success near the boat ramp. For updated fishing reports and ice conditions, contact the CPW Salida Area Office at 719-530-5520..
(Ice conditions as of 2/8/2017) The reservoir has about 20 inches of ice with reports of fishing for trout being good. Anglers have reported catching trout using jigs tipped with wax and mealworms and PowerBait. For updated fishing reports and ice conditions, contact the CPW Salida Area Office at 719-530-5520. (Ice conditions as of 2/8/2017) The lakes have about 10 inches of ice with reports of trout fishing being good. For updated fishing reports and ice conditions, contact the CPW Salida Area Office at 719-530-5520. Just a reminder: Fishing is restricted to artificial flies and lures only. (Ice conditions as of 2/12/2017) The warm weather and windy conditions have deteriorated the ice on the lake. The ice is considered unsafe at this time, and extreme caution is advised. Fishing has slowed, but people are still catching trout using bait such as nightcrawlers and salmon eggs. For current conditions, contact the CPW Pueblo Area Office at 719-561-5300. (Ice conditions as of 2/8/2017) The lake has roughly 8 inches of ice. Fishing has been good for trout. Anglers have reported success using PowerBait, meal worms, and earth worms. For updated fishing reports and ice conditions, contact the CPW Salida Area Office at 719-530-5520. (Ice conditions as of 2/8/2017) The lake has roughly 10 inches of ice. Anglers are catching trout with PowerBait, grubs, and meal worms. For updated fishing reports and ice conditions, contact the CPW Salida Area Office at 719-530-5520. (Ice conditions as of 2/7/2017) The reservoir has iced over with a thickness of 12 inches. With the warmer weather this winter, ice conditions are subject to change. Please use caution and good judgment when moving about the ice. Anglers are encouraged to contact the USFS at 719-636-1602 for the latest conditions, hours of operation, and information about required fees. (Ice conditions as of 2/9/2017) The ice is currently unstable. High winds and warm temperatures have broken up the ice and there are large areas of open water. Ice fishing is not advised at this time. For updated fishing reports and ice conditions, contact the Pueblo Office at 719-561-5300 or the DWM, Bob Holder at 719-680-1410. (Ice conditions as of 2/9/2017) Ice conditions have deteriorated with the recent warm temperatures and high winds. There is a lot of open water near the inlet. Ice fishing is considered unsafe at this time. Fishing has been good with a Swedish Pimple and an orange and white crappie jig. For updated fishing reports and ice conditions, contact the Pueblo Area Office at 719-561-5300 or the DWM, Bob Holder at 719-680-1410. (Ice conditions as of 2/8/2017) The lake has iced over with a thickness of roughly 12 inches. There is a spring located near the center of the lake that keeps the ice weak, so please use caution near the center. Fishing has been good. Anglers have reported catching trout using most types of bait. The lake is only accessible by snowmobile at this time. For updated fishing reports and ice conditions, contact the CPW Salida Area Office at 719-530-5520. (Ice conditions as of 2/8/2017) Both the lower and upper ponds at Riverside are frozen with about 8 inches of ice. Fishing has been good. Anglers have had success using PowerBait and worms. For updated fishing reports and ice conditions, contact the CPW Salida Area Office at 719-530-5520. (Ice conditions as of 2/13/2017) Conditions have rapidly deteriorated and there is open water throughout the reservoir. The remaining ice has thinned and is extremely unsafe. If you venture out on to the ice, which is unadvised, please ensure you have the proper safety equipment. Fishing continues to be slow, but some trout are being caught n small jigs with either salmon eggs or wax worms. For current conditions, contact the Pueblo Area Office at 719-561-5300. (Ice conditions as of 2/8/2017) The reservoir has roughly 17 to 20 inches of ice. Trout fishing is good. Anglers have been catching trout using nightcrawlers and green PowerBait. 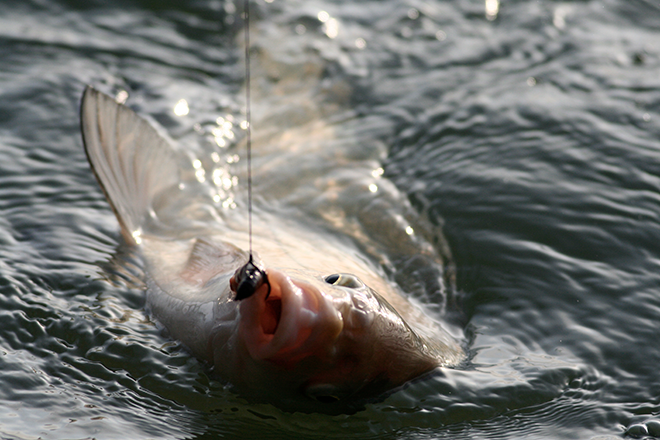 Most fish are being caught in 10 to 12 feet of water. For updated fishing reports and ice conditions, contact the CPW Salida Area Office at 719-530-5520. The lake has roughly 25 to 30 percent ice coverage. Anglers have had success catching trout from the shoreline using PowerBait. Just a reminder: boating has closed for the season as of December 1st. (Ice conditions as of 2/8/2017) The reservoir has about 8 inches of ice, with slush on the surface that freezes at night and melts throughout the day. Fishing has been fair. Anglers have been catching average sized trout using jigs, lures, PowerBait, and meal worms. For updated fishing reports and ice conditions, contact the CPW Salida Area Office at 719-530-5520. Be advised: The USFS has issued a travel advisory for the ice on Turquoise and does not recommend any vehicle traffic on the ice. (Ice conditions as of 2/8/2017) The lakes have about 12 to 14 inches of ice, which begins to thin out at the boat ramp. There are no vehicles allowed on the lake at this time. Fishing has been good. Anglers have had success using jigs tipped with sucker meat, grubs, PowerBait, or meal worms. For updated fishing reports and ice conditions, contact the CPW Salida Area Office at 719-530-5520.